As some of you may have spotted, our very own Jason Seaton was in the local paper this week. Here he is with Weston Football Club, exploring the importance of injury prevention. For the full article just follow this link to the Weston Mercury. This coming year Jason is looking to work with a number of clubs in the Weston area, focusing on sports conditioning and injury prevention. Injury prevention is still physiotherapy, but it differs slightly from traditional physiotherapy in that it is very much exercise based. Instead of a one-to-one assessment, participants fill out a screening questionnaire which will highlight any areas of weakness they may have. The physiotherapist will then complete a Functional Movement Screen score test to look for areas of stiffness, tightness and weakness - searching for any biomechanical problems that may lead to injury during sport. This will be followed up with a functional circuit programme which will then focus on strength, stability, flexibility and sports specific conditioning. 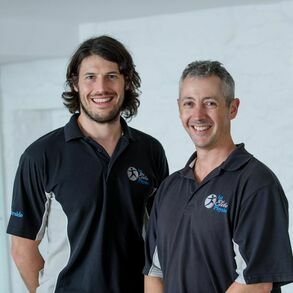 If sports conditioning or injury prevention is something you are interested in, please contact reception and they will arrange an appointment for you to come and see Jason with us at Cowan House. Join us over on Pinterest to visually discover what inspires us here at Cowan House. Expect plenty of clean eating recipes and natural remedies. Hypnotherapy is becoming an increasingly popular method to help people quit smoking for good. As national No Smoking Day is upon us, today is a great day to consider this alternative method and the immediate benefits that come with quitting. Our Hypnotherapist, Dr John Birkett, has helped many people in their efforts to stop smoking. His painless, natural and drug-free treatment lasts for 90 minutes and only requires a single session. It is also free from any nasty side-affects. At Cowan House we believe it is never too late to stop smoking and take control of a new, healthier and habit-free life. Doing so can have a tremendous impact on your health and lifestyle. From saving money and becoming healthier and fitter, to protecting those around you; there are a multitude of advantages to a new cigarette-free life. Here are a couple of links for inspiration and motivation: NHS: What Happens When You Quit and No Smoking Day: Why Quit Smoking.